Even if you move frequently, PCS moves never get any less overwhelming. A great checklist can help organize everything you need to complete. Those checklists are typically broken down into three main parts: pre-PCS, active PCS, and post-PCS. But the process looks the same for most moves, with the exception of a few additional steps for an overseas PCS. I’ve compiled a ‘one stop shop’ all-inclusive checklist to follow. If not for you, then for me and my upcoming PCS! 1) Decide if you will rent out or sell your home. If you own your current home, you need to decide what you’ll do with it. Ask yourself these questions from MilitaryByOwner’s free ebook PCS Ahead: Should I Sell or Rent My Home? to help you decide if selling or renting is right for you. Is the market trending up, neutral, or down? Do you need the equity? If you’re currently renting, be sure to give your landlord proper notice and get your deposit back if it applies to you. 2) Decide if you want to do a DITY, partial, or full military move. Making the decision of how you want to make your move is a big one. A Personally Procured Move (PPM) or DITY ("Do It Yourself" move) requires significantly more work, both physically and logistically. Doing a partial PCS or letting the movers do the work is exponentially less taxing. However, there are a few reasons you may want to handle the move yourself, such as knowing how your things are packed and getting your household goods to your new duty station when you want. 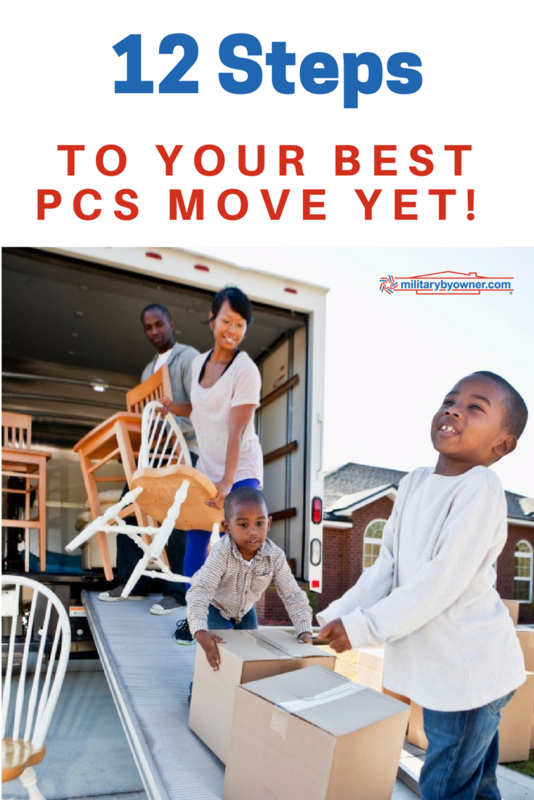 To help you decide which type of move is right for you and your family, take a minute to download Avoid PCS Move Wipeout to read about more pros and cons. Spring is approaching, so you’re probably already thinking about ridding yourself of clutter. If you have a PCS move on the horizon, you should make purging a priority. Ask yourself the essential questions and get rid of anything that doesn’t need to go with you to your next duty station. 4) Research your new duty station. Most likely, you're moving to a brand new area. But even though you haven’t been there before doesn’t mean you can’t learn everything you need to know from afar. MILLIE’s content director and managing editor Kellie Artis says to embrace the base, go social, find your bearings, and work your network to find information fast. Check out local reviews on Military Town Advisor, find a home on MilitaryByOwner, and hire a MILLIE Scout to be your boots on the ground at your new duty station before you get there. Estimate how much you’ll spend on lodging, gas, plane tickets, and food. Yes, you’re given a Dislocation Allowance (DLA), Temporary Lodging Allowance (TLA), and per diem, but often only a portion of that reimbursement is provided prior to your PCS, and you won’t see the majority until after you arrive at your new duty station. If you're moving overseas with pets, your budget will look different. You’ll want to follow the Pet Checklist for an International Move in the Overseas PCS Survival Guide free ebook. You’ll also need to budget for your new duty station. Your BAH will likely change, and you'll want to determine how much you’re willing to spend on a home before you make the move. Cancel utilities, hold your mail, collect school and vet records, create a PCS binder, and gather military uniforms necessary for check-in and check-out. 7) Pack up and move. 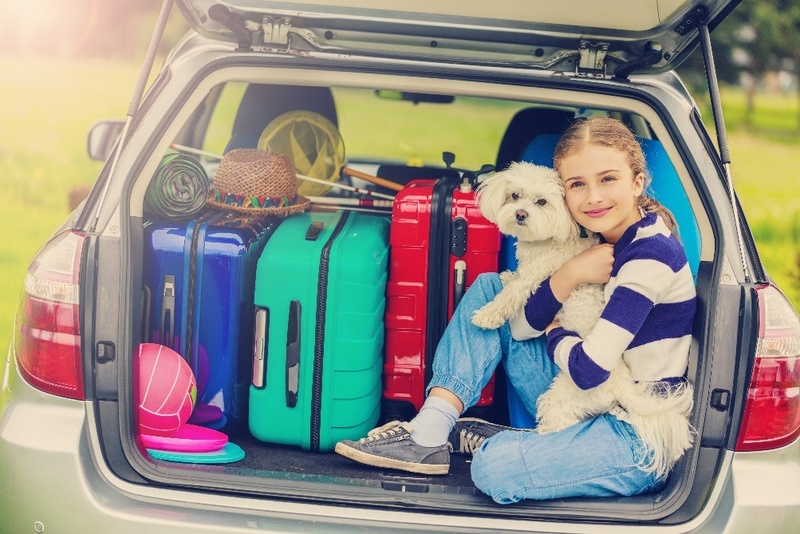 If you’re doing a DITY, load up all the stuff you’ve packed, obtain weight tickets, and get ready to drive. If you’re having the movers come, pull things off walls, guide them with how you want things packed, and order them lunch! Be sure to look over the movers' descriptions of your stuff before signing. If your things turn up broken or missing, the government will refer back to the movers' paperwork before providing any financial compensation. 8) Map out your travel plans. Whether you’re planning to road trip across the country, fly, or travel internationally, keep military-friendly resources in mind. Organizations likethe USO, PCS-Lodging, Armed Forces Vacation Club, Information, Travel and Tickets (ITT), Morale, Welfare and Recreation (MWR), and Military Lodging and Rec Centers are great resources to take advantage of during your PCS. With your previous research in mind, find a home that suits your needs. Refer to your searches on MilitaryByOwner and visit the homes in person. After you arrive at your new duty station, it’s time to take care of the details. Not only should you call to set up utilities and enroll your children at their new school, but you should also Do These 5 Things After Arriving at Your New Duty Station. If you did a PPM/DITY, remember to send in your PCS paperwork including receipts, weight tickets, copy of orders, PPM approval, etc. to ensure proper reimbursement. 11) Settle into your new home. Bloom Where PCS Plants You has an extensive post move-in list to complete, whether you’re renting or buying a home. For instance, unpack your kids' rooms first and expand to the rest of the house. 12) Resume a normal routine. Children thrive on order and consistency. While it’s difficult when surrounded by moving boxes or suitcases to keep routines going, even simple things such as the same bedtimes and meal times help with maintaining familiar routines. While I don’t think that PCS moves will ever become less overwhelming, here's hoping we can feel more confident and organized with each new move. Now if you’ll excuse me, I need to get packing!